St Cybi’s Church, Holyhead, have been granted funding for significant repairs, costing over £250,000 to preserve the stonework, including important carvings, at St Cybi’s Church, Holyhead, which are being damaged by erosion and pollution. On Saturday 30 June Glenys Samson was licensed as a Reader in the Church in Wales, by our Bishop, the Right Rev’d Andrew John. It was such a happy occasion. We are so pleased to have Glenys as a member of our Bro Cybi Ministry Team – and give thanks to everyone involved in her training – especially Canon Tracey Jones at Bro Padrig Ministry Area. in our life and ministry. To share it with the people of the Ministry Area in which we will serve was wonderful and we came home excited about what lies ahead. Thank you all for being there. of life and hope from whom can come new beginnings and growth. The Good News of Jesus is still able to change lives as it has done down through the past 2000 years. churches as we boldly tell the Good News and look to the Holy Spirit to work in power. It was lovely to have a full church at St Cybi’s last night when the Bishop of Bangor inducted Archdeacon Andy Herrick as our new Ministry Area Leader. A big WELCOME to Andy and his wife Sara. Special thanks to the children of Ysgol Cybi who came to sing for us. The congregation included our MP, Mayor, local councillor’s, church leaders from other denominations and clergy from across the diocese. Archdeacon of Anglesey, Andy Herrick, will be inducted and licensed as Ministry Area Leader and Vicar of Bro Cybi. The service will be conducted by the Right Rev. Andrew John, Bishop of Bangor, on Sunday 20 May (Pentecost), at 6 pm in St. Cybi’s Church, Holyhead. Everyone welcome. Refreshments will be served in the church after the service. 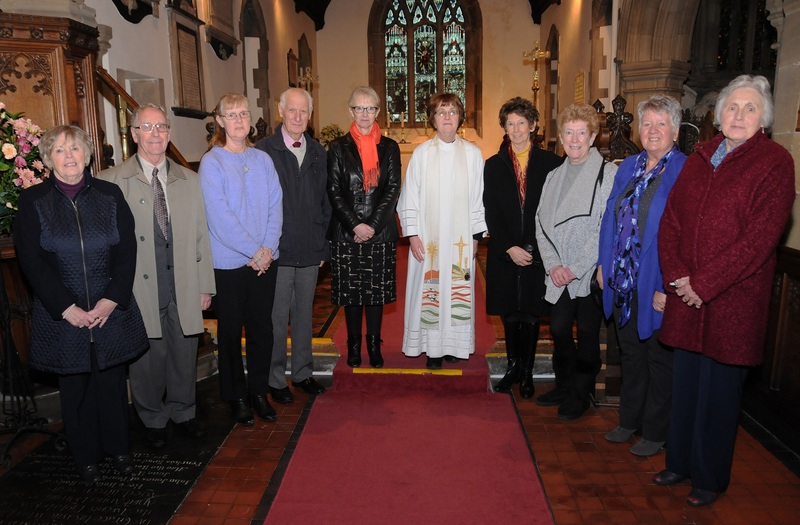 A photo of the Holy Island Ministry Area Pastoral Group, who were commissioned on the 31st January 2016 by the Rev Kevin Ellis, at the Ministry Area Service in St Cybi’s Church. 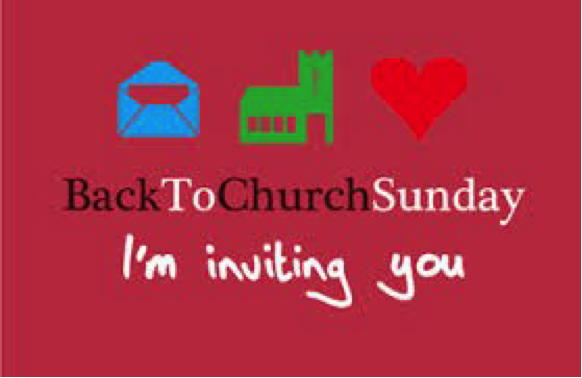 To find out about more Church related events in Holyhead, Trearddur Bay and Rhoscolyn, please visit our Events page. 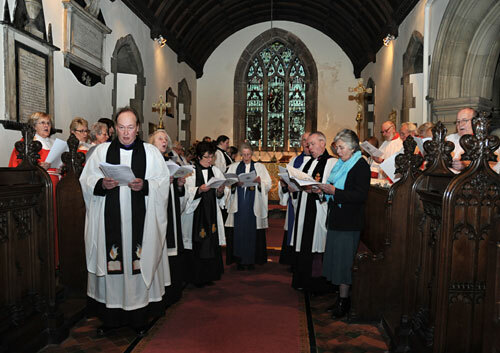 Over 200 people attended a special service on Saturday, 22 February at St. Cybi’s Church, Holyhead for the Induction of the Rev’d Dr. Kevin Ellis as the new Vicar of the Holy Island (Bro Cybi) Ministry Area. 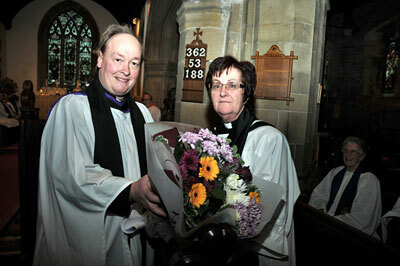 The Bishop of Bangor, the Right Reverend Andrew John, led the service. The Bro Cybi Ministry Area is the newest Ministry Area in the Diocese of Bangor, as the Diocese develops a new way of working. The name ‘Ministry Area’ reflects the fact that the ministry and mission of the Church – serving the people of the local community – is the responsibility of all Church people, not just the new Vicar. In his sermon the Bishop reminded us of the generosity of God and that no matter how miserable we felt we should remember that God still loved us. And that as Christians what mattered most is what we do, rather than what we say. He also reminded us about how important Food Banks are to families who are struggling financially, and how pleased he was that local Christians were taking part in supporting this work. Alongside the Induction of Kevin other members of the Ministry Area were commissioned, including the Rev Jane Bailey, two Lay Readers and the Home Communion Team, who will share the responsibility of leading the Church’s ministry in Bro Cybi, under the guidance of the Rev’d Kevin Ellis. as well as from members of the town and county council. 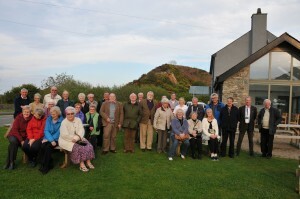 Members of Kevin’s previous congregation in Birmingham had travelled to Holyhead to attend the special service. 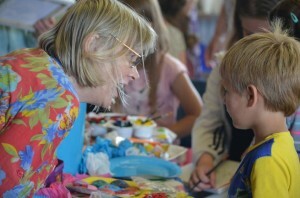 Refreshments were provided after the service at Ysgol Thomas Ellis School. Holy Island and its main town of Holyhead – on the west of the Isle of Anglesey – will be welcoming a new vicar and a new way of working on Saturday, 22 February. At a special service, at 3pm in St. Cybi’s Church, Holyhead – led by the Bishop of Bangor, the Right Reverend Andrew John – the Bro Cybi Ministry Area will be inaugurated, and the Rev’d Dr. Kevin Ellis will be inducted as it’s new vicar and the Bro Cybi Ministry Area Team Leader. The Bro Cybi Ministry Area will become the newest Ministry Area in the Diocese of Bangor, as the Diocese develops a new way of working. The name ‘Ministry Area’ reflects the fact that the ministry and mission of the Church – serving the people of the local community – is the responsibility of all Church people, not just the new vicar. Kevin was born and grew up in Sheffield. Prior to being ordained, he worked in a number of settings, such as an assistant manager of a newsagents, a mystery shopper, and as a New Testament theologian. Indeed, one of his passions is making the stories of the Bible intelligible and accessible to all, particularly people who have limited contact with the Church community. Since being ordained, Kevin has served in a number of places, such as Matson, a council estate on the edge Gloucester, Maryport and Flimby on the west coast of Cumbria, and most recently as the vicar of St Michael and All Angels, Bartley Green in Birmingham. 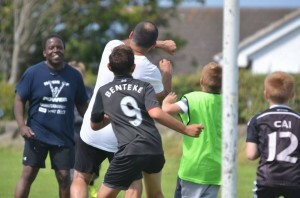 During his ordained ministry, Kevin has developed an interest in community regeneration, as well as a passion for working closely with schools and for developing work with young people. His Grove Booklet called Mission in Schools will be published in April. Kevin is married to Jennifer, who is a General Practitioner. They have a son, Shaun, who now attends Ysgol Uwchradd Caergybi.In his spare time, Kevin reads avidly, loves cooking, likes real ale and to be exercised by his two lurcher dogs, Pippin and Samwise, who are now enjoying the beaches that Anglesey has to offer. He also an avid cricket follower. During 2013, with the assistance of grant funding from Heritage Lottery Fund, Cadw and the Isle of Anglesey County Council, restoration work costing £75,000 was carried out to St Cybi’s Church. This included the removal of unsightly vegetation from the tower and the installation of new window guards on all the windows which has considerably improved the aesthetic look of the building. During the restoration work evidence of a previous roof line over the Nave was discovered. This shows that the earlier roof was pitched with a considerable slope, to assist with a quick run off of rainwater. Evidence of an opening high up on the west wall of the Nave was also discovered. Gwynedd Archaeological Trust have carried out an investigation and are preparing a report. One possibility is that the filled in opening was once the entrance to a Minstrels Gallery.